Potato greens always seems to remind me of a story I heard from a Mother of 2. This mother became ill while out running errands with her 4 year in one hand & 7 months in another hand. She started thinking. Should I go to the hospital or go home? She decided to called a Uber & return home. She said to herself, maybe this will pass. So I am going to make a few adjustments to my diet and if I still continue to feel sick. Then I will go in to see a doctor. After a few days of eating potato greens, she starting feeling better. Maybe the fact the Potato Greens is a good source of Protein, Niacin, Calcium and Iron, and a very good source of Dietary Fiber, Vitamin A, Vitamin C, Thiamin, Riboflavin, Vitamin B6,Folate, Magnesium, Phosphorus, Potassium and Manganese helped her body recover. But that experience reminded her that she needs to take care of herself so that she can have the energy to take care of her kids. PS, please use best judgement in deciding when to go into the hospital or not & also consult your doctor about your symptoms. 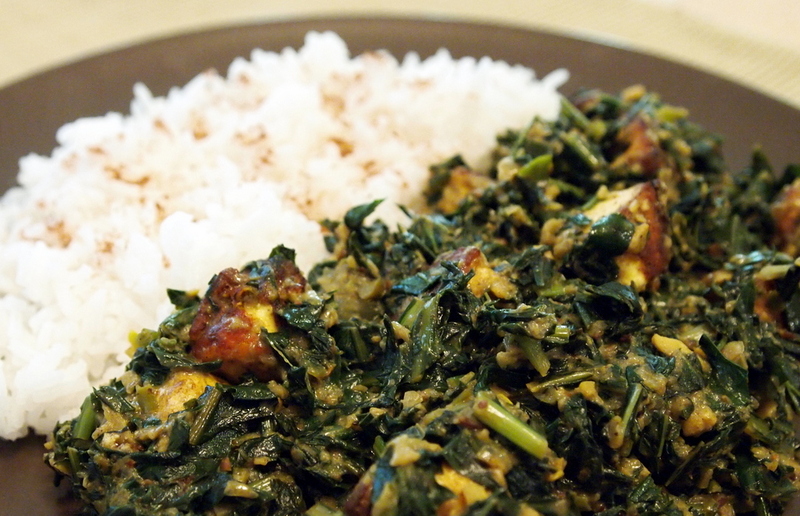 Simple and easy West African Recipe. 1-2 lbs of chicken or beef. vegetable oil, seasoned salt, onion powder, chicken bullion cubes. Wash greens thoroughly, remove from stems, and chop into small pieces. Set aside. Combine onion and meats into a large pot and saute in vegetable oil until they are almost fully cooked. Remove from pot. Add the greens into the pot in the remaining oil and fry until greens become tender( About 15 mins), stirring frequently. Combine all ingredients into pot, season and add enough water to just slightly covers all of the ingredients. Season to taste with seasoned salt, onion powder, chicken bullion cubes.